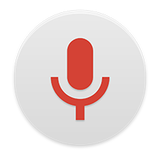 Just by tapping the microphone icon in the search bar, English speakers can ask Google any number of questions and have their phone respond in their native language. Thus far, others haven't been so lucky. But now Google is expanding that functionality to more languages. Starting today, French, German, and Japanese speakers shall also be able to ask their Android devices questions and hear answers spoken in the same tongue. The changes should take place server-side, so you don't have to wait for a update (as long as you already have the latest version, that is). Just fire up the Google Search app on your Android phone and ask away. As for other languages, stay tuned. Google is working to add support for more in the days ahead.